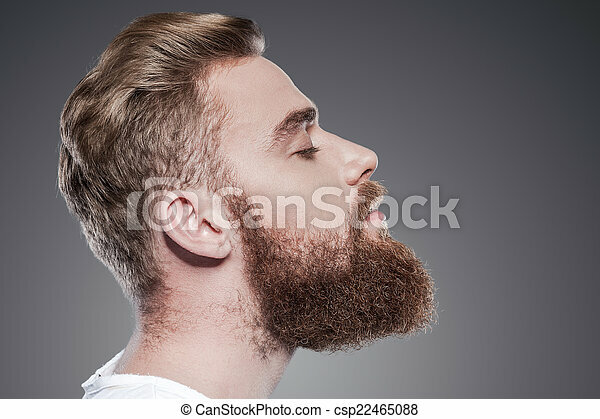 Bearded handsome. 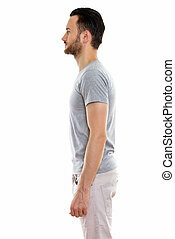 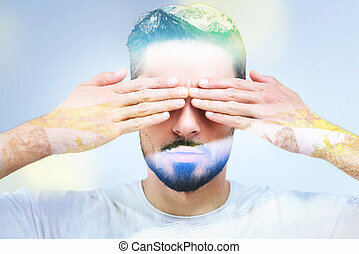 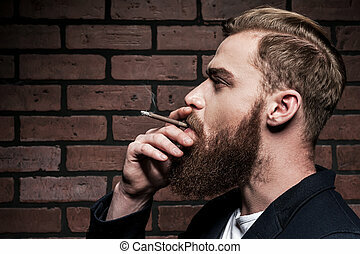 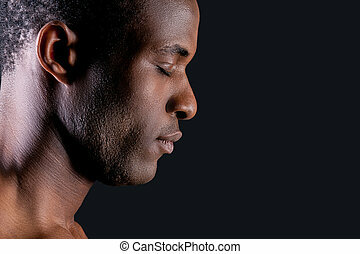 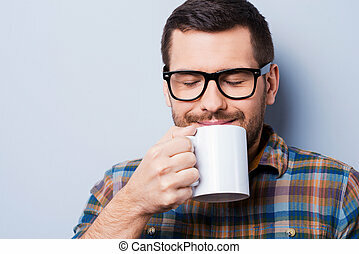 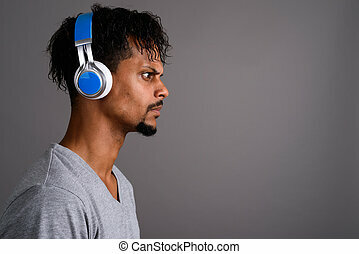 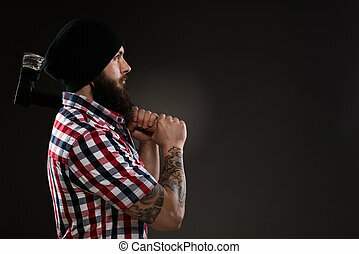 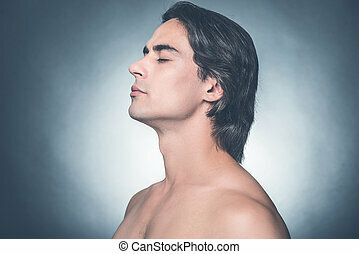 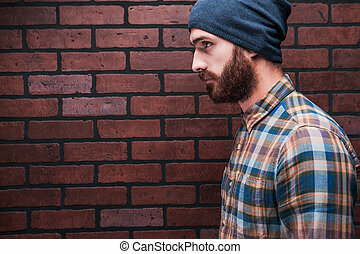 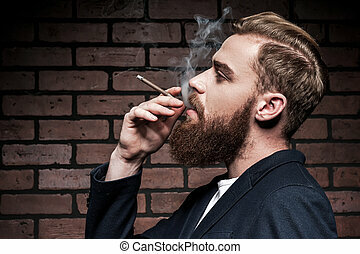 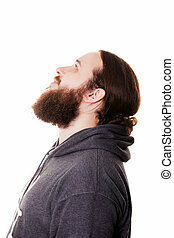 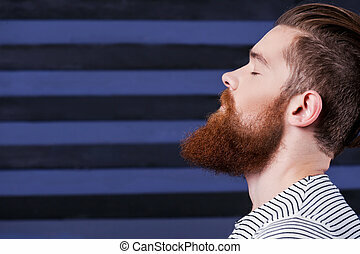 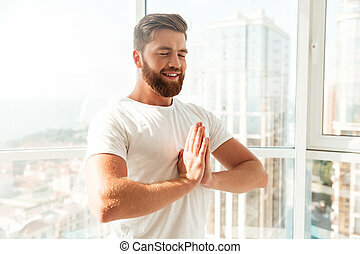 side view of handsome young bearded man keeping eyes closed while standing against grey background. 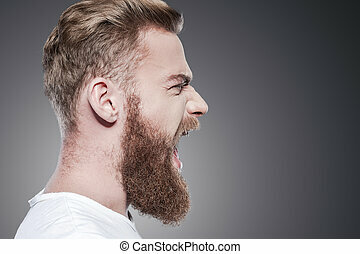 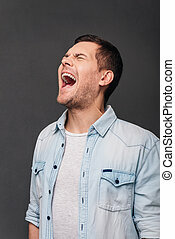 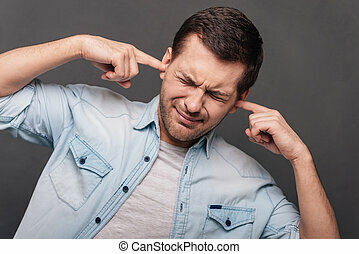 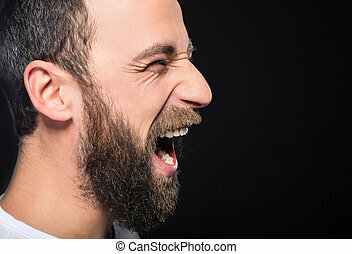 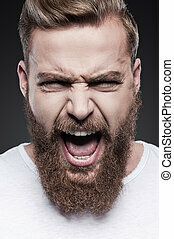 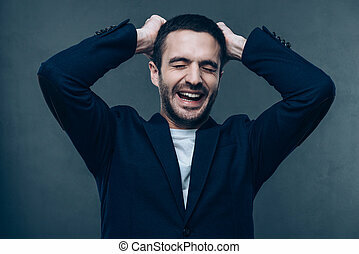 Side view of furious young bearded man is shouting while standing against black background. 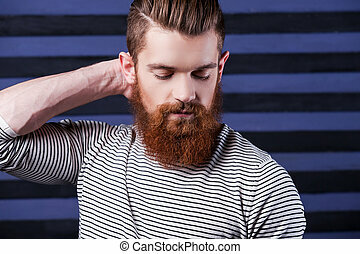 Touching his perfect beard. 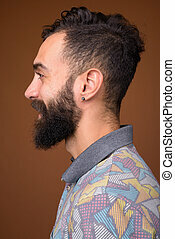 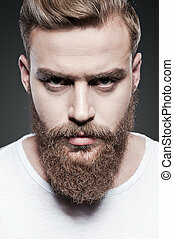 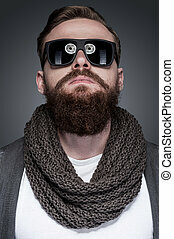 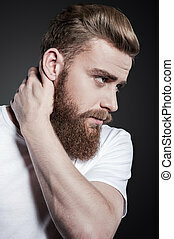 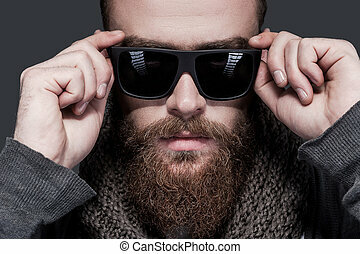 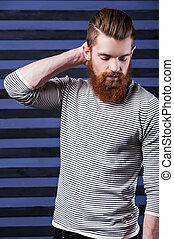 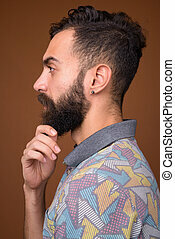 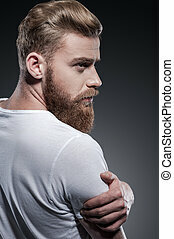 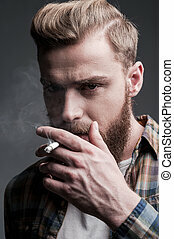 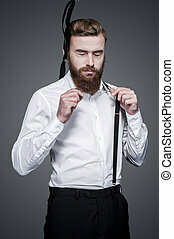 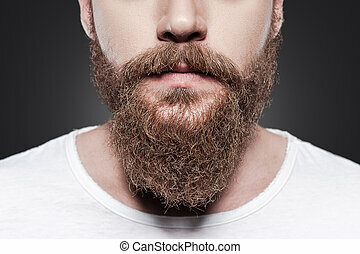 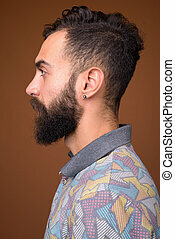 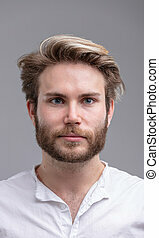 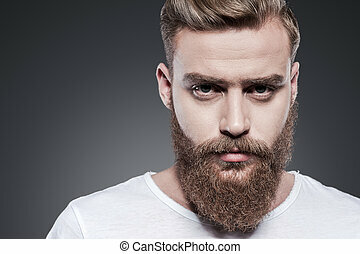 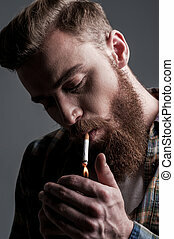 Close-up of young bearded man touching his beard while standing against grey background. 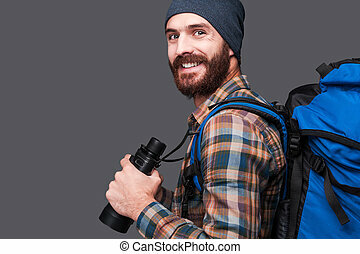 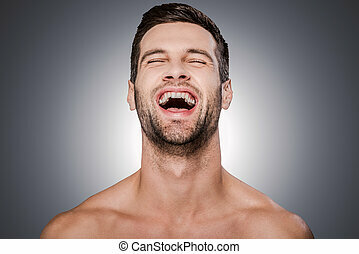 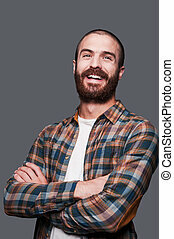 Portrait of happy bearded man. 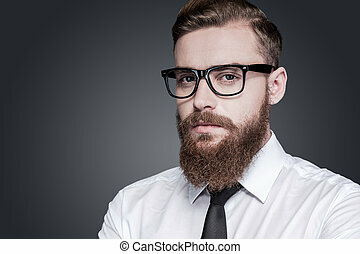 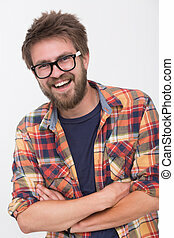 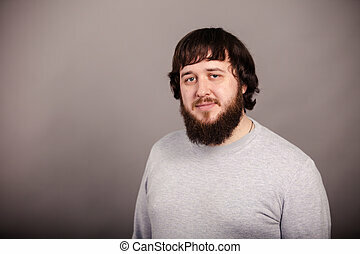 Handsome young bearded man keeping arms crossed and smiling while standing against white background.